ZenCart Better Together Admin requires some tweaks to run under PHP7. Just follow the update procedures and you’ll be all set! The ZenCart Quote Payment Module is a clone of the check/money order module, which is provided to allow customers in a store to check out with a no obligation quote. And it works great with two other mods: Catalog Invoice and Order Copy. Catalog Invoice allows your customers to create their own printable invoices. These invoices look just like the ones you can produce in Admin->Customers->Orders->Invoice. 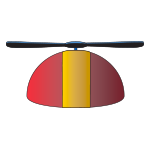 Order Copy allows your customers to easily convert past quotes into orders by adding all the items from the quote (along with their attribute settings) to the cart, for checkout and payment. The ZenCart Changed Files report allows you to easily determine which files have changed most recently in your installation. This can be useful for tracking down problems by quickly figuring out what has changed. 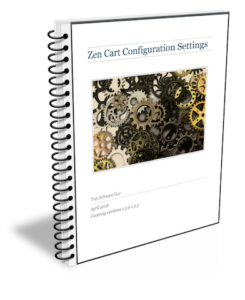 My Zen Cart Configuration Settings eBook allows you to see all the configuration and layout settings in Zen Cart in one searchable place. Buy my Zen Cart configuration e-book. It is sure to save you time, and it’s only $5! Covers all 26 native Zen Cart configuration groups, plus one hidden group you might not know about.